Opis: Although a new ozone hole has formed again this year over the South Pole, this time it is a little bit smaller than the year before. Ozone is important because it shields us from damaging ultraviolet sunlight. 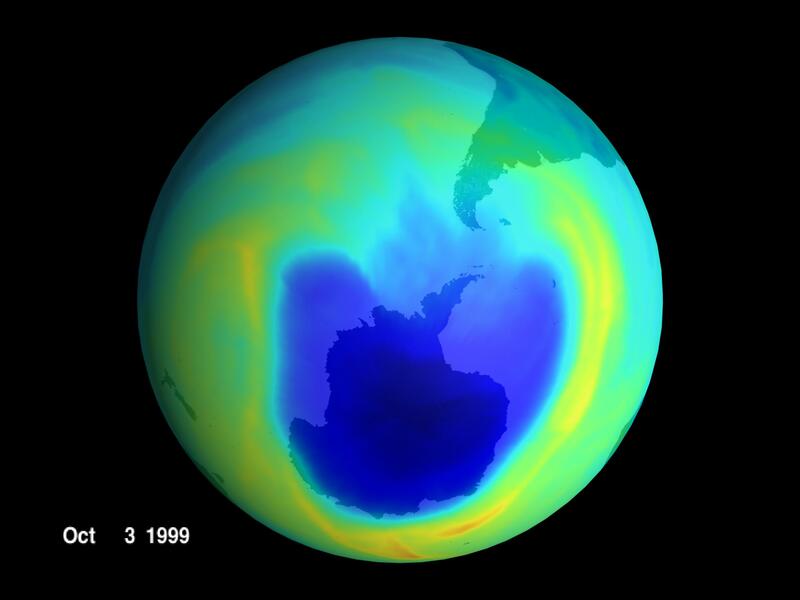 Ozone is vulnerable, though, to CFCs and halons being released into the atmosphere. International efforts to reduce the use of these damaging chemicals really are having a positive effect on their atmospheric abundance. 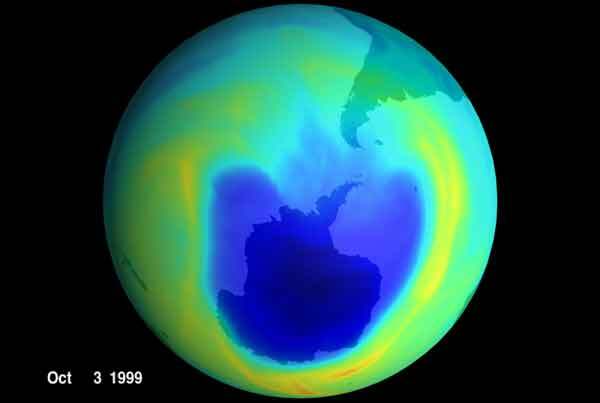 This year, however, the slightly reduced size of the ozone hole is mostly due to relatively mild weather, which reduces the efficiency of ozone depletion. In the above false-color picture taken earlier this month, low ozone levels are shown in blue.